Plus - Refill pages work in any standard three ring binders! 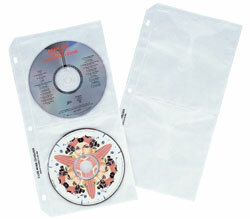 Refill storage pages lets you remove, reorganize and replace CDs. Pages clean CDs every time they are placed in holder. Without tabs. 10/PK.